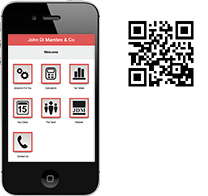 Welcome to John Di Mambro & Co.
Whatever your needs, we can help. John Di Mambro & Co. is a firm of Chartered Accountants based in Hamilton offering accounts, taxation and business advisory and support services to a wide range of businesses and individuals. At John Di Mambro & Co. we provide a cost-effective, high value solution to meet all of your financial needs. We work hard to get to know you in order to deliver timely, individual advice on how to improve your business and personal wealth. For a guide to choosing a Chartered Accountant and to see the difference that using a CA has made to other businesses visit trustedinbusiness.org.uk.